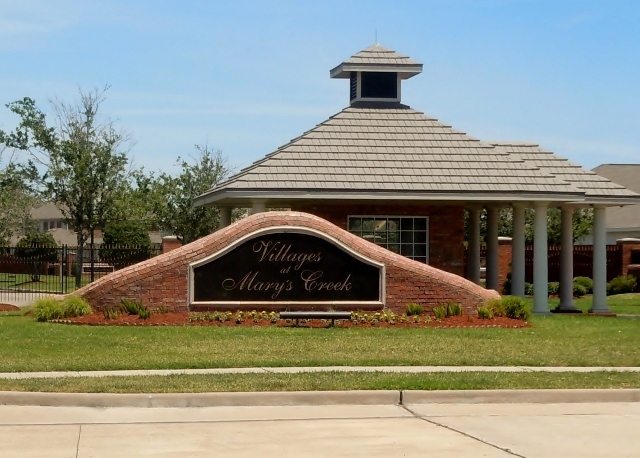 Villages at Mary's Creek is an exclusive private small gated community in Pearland with video surveillance at the school bus stops and community center that you can view from your own home TV. This neighborhood has a lot to offer its residents such as a lake ( that runs through the subdivision, that you can go fishing in), many playgrounds, a swimming pool and walking trails. Residents enjoy fine shopping and many recreational chances within the city of Pearland. Independence Park is just a walk away and includes a large swimming pool, tennis courts, basketball courts, soccer fields, a lighted walking path and picnic areas. Homes in The Villages at Mary's Creek are built by Wilshire and Meritage, they range from $256,000 to $425,000, home sizes range from 2,400sqft to over 3,700sqft, lots average around 10,000sqft or more. Children living in The Villages at Mary's Creek subdivision attend school in the PISD, which is one of the best overall school districts in Texas. Does The Villages at Mary's Creek sounds like a community you want to call home? Johnna Johnson with RE/MAX Top Realty would love to help you find the house of your dreams! Call 713-558-2515 or Email johnnaj@remax.net for more information or a tour today! Selling your home in The Villages at Mary''s Creek? CLICK HERE. 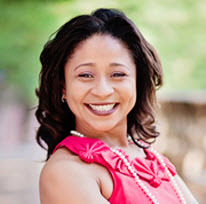 Johnna Johnson with RE/MAX Top Realty is the right Realtor to get yours SOLD!